By Steven Lin - Sports Editor · September 28th, 2018 at 3:53 p.m. 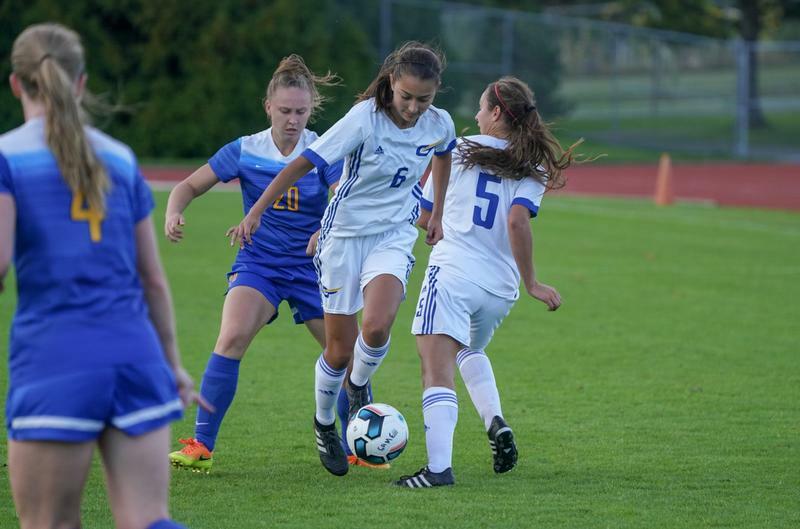 So far in the season, the Heat Women’s Soccer team clings onto the playoff spot, standing in the fifth in the Canada West Pacific division out of eight other teams. To get into the playoffs in Canada West, the top 6 teams in a single division within the season will be chosen to play. 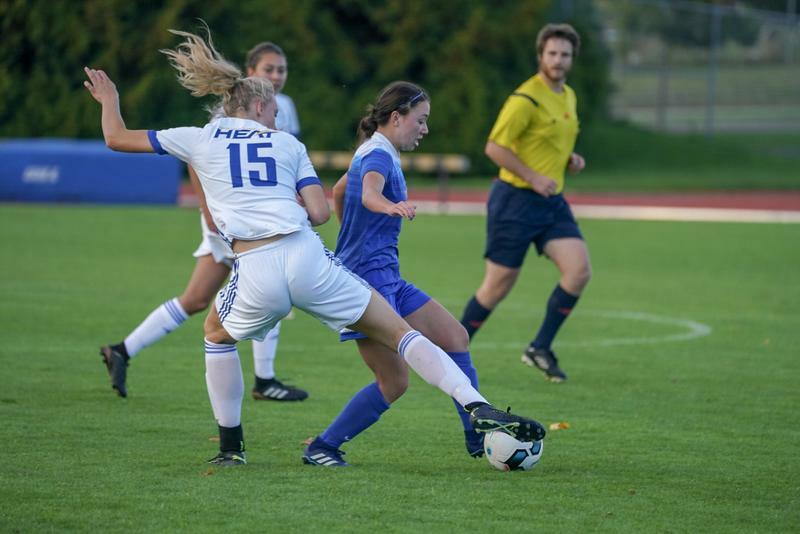 Going through the mid-season currently, the women’s soccer team sets up the record with 2 wins, 1 draw, and 3 loses. The Heat have to play 14 games in total to complete the season. According to Coach Tingstad, veteran and captain of the season, Lindsey Berthelsen paired with rookie Lauryn Padmoroff have been solid in the center back position this year, with returning midfielder Erica Lampert and rookie Aurora Gardiner in the midfield, and Kylee Walker and Jessica Ambrosio up front. In addition, Iona Lawson and Emma Terrillon both rookie Goalkeepers have been key pieces to the squad. For the upcoming games, the women’s soccer team is playing in our home turf on the Nonis Sports field. 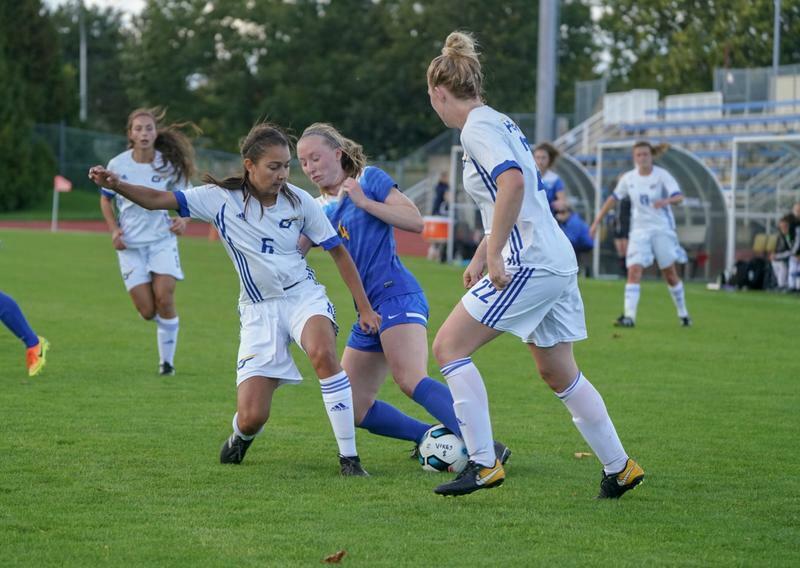 The Heat is facing the University of Simon Fraser (UFV) on Friday and Trinity Western University on Saturday, with both games starting at 1 p.m.